I’ve earlier shared dual sim phones like Zen z77 and AirFone AF11 with some of the best features available on branded mobile phones but at a lower price range, but what these mobiles did not offer was 3G support on those handsets, Nokia launched Nokia 2730 classic with 3G support the cheapest 3G capable phone from the Nokia. 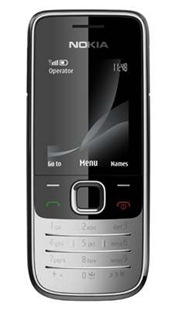 Nokia 2730 Classic 3G is available in 2 colors : Black and Dark Magenta colors and pre loaded with 1GB Micro SD card at a retail price tag of Rs. 4499 with one year limited warranty.